Kelly E. Palmer, 52, of Iowa City, passed away, Monday, September 18, 2017. She was born on December 7, 1964 to Allen and Patricia Palmer. 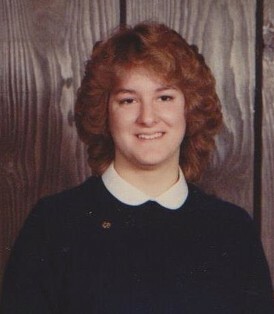 Being the only deaf person in her family, Kelly went to the Iowa School for the Deaf and graduated in 1983. She was a strong, hardworking single mother who completed her BA degree at Kirkwood Community College, and then went on to further her education at Iowa. She had also worked at the University for over 25 years. During her life, Kelly enjoyed spending time with her friends and family, studying the bible, watching movies and painting. Her surviving family included her daughter, Amanda, her grandson, Russell, her father, Allen, and her brothers, Steve and Scott Palmer. Kelly will forever be remembered as a strong women who overcame many challenges in her life, as well as her wit that caught you off guard. She will also be remembered as an amazing mother who gave it her all. Memorial services was je;d at 4pm Friday, September 29, 2017 at the Seventh Day Adventist Church at 1007 Rider Street, Iowa City. A time of refreshments and fellowship will follow the services. For a more complete obituary, an opportunity to share a memory, thought or condolences please go to the funeral home website @ www.gayandciha.com. Gay & Ciha Funeral and Cremation Service is caring for Kelly's family and her arrangements. Thanks to Gay & Ciha Funeral and Cremation Service, Iowa City, Iowa, Shirley Hicks, Sharon Peterson and Diane Tekippe for the information.